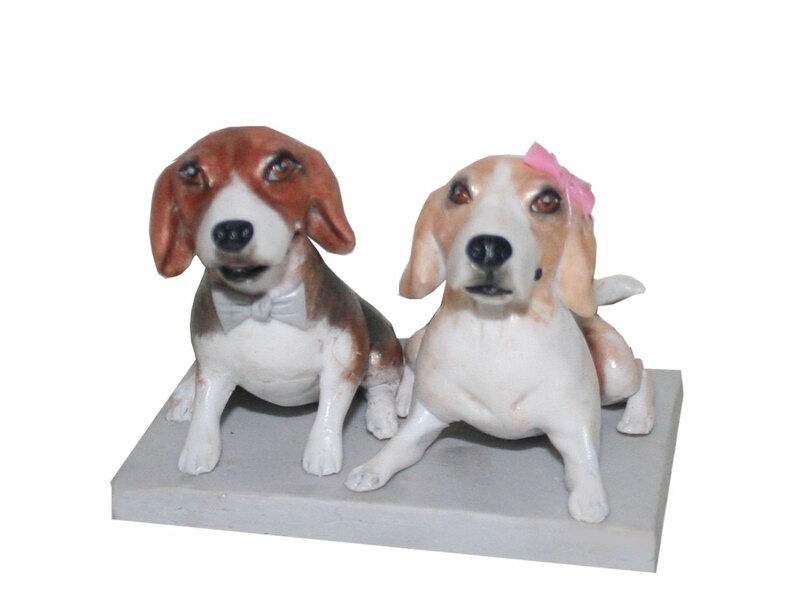 Make your Pet Dog own bobble heads,custom Dog bobbleheads from photos. A great way to capture the special pet within our lives,this customized pet figurine is a great idea. You just need to upload it’s photos and give us the special instructions.As pets have various color combinations, we would like to see different angle photos so we may capture the fur colors properly. You can choose to have a sitting up pose, a standing pose or a lying down pose for your pet: The length of a pet lying down is approximately 3.5" long. The height of a pet sitting up is approximately 3.5" tall. The height of a pet standing up is approximately 3.5". You also and ask to write down his/her name on the bandge or on the base.